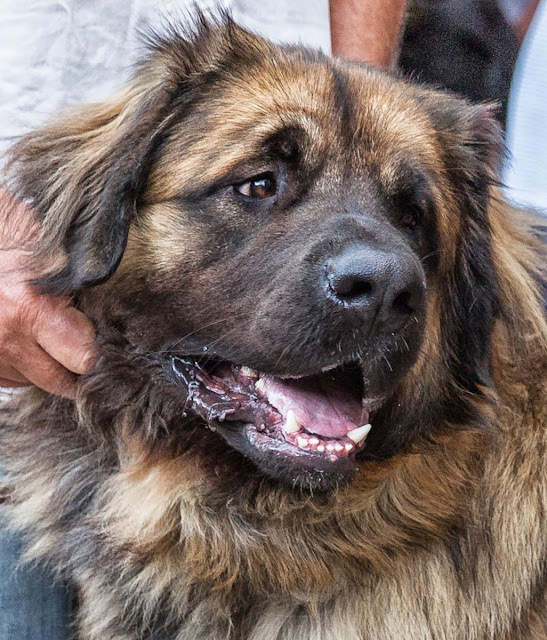 This lovely big boy is a Leonberger. He's called Hermes and he's 14 months old. He really didn't want to look at the camera! I met Hermes at the Fete de la Branda in Gorbio village. Our son's dog is scared to death of cameras ; is that his problem? Beautiful animal. Nice white teeth! 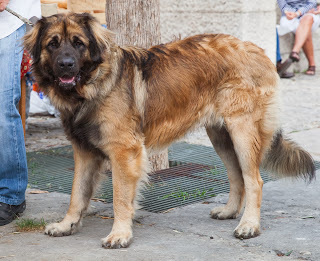 Have not heard of this breed, very nice looking.